Buying a car is stressful, or rather, it can be a stressful process. There’s a lot to consider when buying a car. Year, make, model, et cetera. Buying a used car unveils a whole ‘nother level of stress because not only do you have the actual car to consider, you now have to take into account the car’s history. Where has the car lived? How many miles are on it? How many owners has it had? What service has been done to the car? Are service records available? And then, of course, has it been in any accidents? 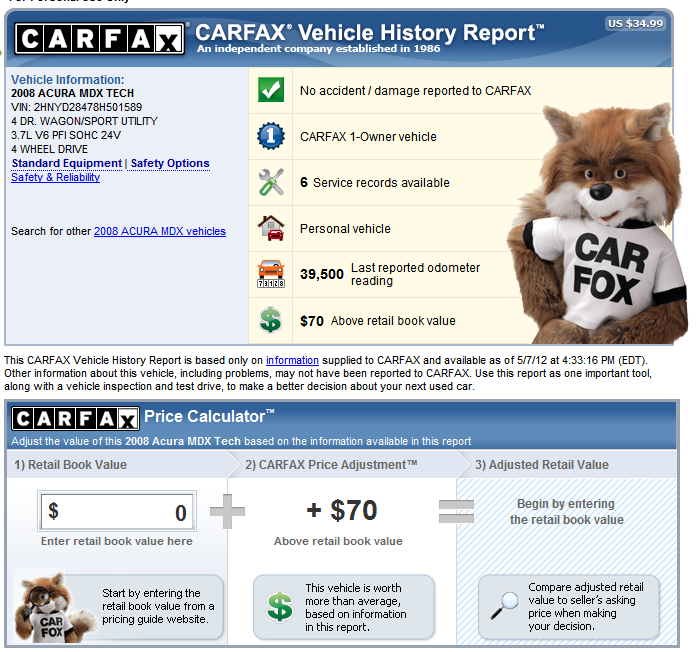 More often than not, the first move people make is checking out the car’s Carfax report. No one can deny the relief upon seeing that the car has no accident history reported. The operative word being, “reported.” One may wonder, How reliable are these reports? Maybe you don’t wonder at all, and swear by what you see in front of you. What’s the most important thing Adam looks for in any vehicle’s history report? “Any valuable information as far as the story of the car goes. That usually consists of service history, where the car lived for most of its life (climates/areas of the country), so I can positively or negatively vet the car.” The Carfax, along with any other report on a car’s history is valuable and, of course, essential to the car-buying process. It is important, however, to investigate the car’s life beyond what you see on the Carfax. To use it as a guide, but not necessarily the Gospel.